In 1980 Dr Farah founded Farah and Associates (presently Enspire Dental) to provide personal and exceptional state of the art dentistry to the Ann Arbor Community. In 1984, he launched DENTAL ADVISOR, a consumers report style publication for the dental profession, recognized internationally and now in its 35th year of publication. More recently in 2006 Dr Farah formed Apex Milling & Printing to provide dentists with access to CAD/CAM and Digital Dentistry. With a passion for health and fitness, Dr Farah has run 134 marathons and practiced yoga for over 20 years. Imagine Fitness & Yoga is his latest endeavor to promote wellness and help people lead and maintain a healthy and active lifestyle. Dr Farah earned his DDS and a PhD in Aerospace Engineering from the University of Michigan. He is a member of the American Dental Association, the Michigan Dental Association and the Washtenaw District Dental Society. Dr. Powers graduated from the University of Michigan with a B.S. in chemistry in 1967 and a Ph.D. in dental materials and mechanical engineering in 1972. He received an honorary Ph.D. from the Nippon Dental University in 2011. He received the E.B. Clark Award from the Society for Color and Appearance in Dentistry in 2012. He received the 2013 IADR Distinguished Scientist – Wilmer Souder Award. He was named an AADR Fellow in 2016. Dr. Powers is Publisher of DENTAL ADVISOR and Clinical Professor of Oral Biomaterials, Department of Restorative Dentistry and Prosthodontics, at the University of Texas School of Dentistry at Houston. Dr. Powers has authored more than 1000 scientific articles, abstracts, books, and chapters. He is co-author of the textbook, Dental Materials – Properties and Manipulation, and co-editor of Craig’s Restorative Dental Materials and Esthetic Color Training in Dentistry. He serves on the editorial boards of many dental journals. He has given numerous scientific and professional presentations in the United States, Mexico, South America, Europe, and Asia. Dr. Sabiha S. Bunek is Editor-in-Chief of DENTAL ADVISOR, leading a team of researchers and clinicians in reporting evidence-based clinical and laboratory properties of dental products and equipment. As a principal partner and CEO of Dental Consultants, Inc., she is leading future generations in connecting science and clinical practice. Dr. Bunek was born and raised in Ann Arbor, Michigan and earned her D.D.S. from the University of Michigan School of Dentistry (GO BLUE!). Dr. Bunek lectures on topics related to adhesives, ceramics, cementation, and CAD/CAM technology. She is a published author and has been nationally recognized by Dental Products Report, who named her one of the top 25 Women in Dentistry in the areas of research and education. Dr. Bunek currently serves on the Executive Board of Society for Color and Appearance in Dentistry (SCAD) and is a visiting faculty for the Dawson Academy. She maintains a full-time practice in Ann Arbor, Michigan, focusing on esthetic and comprehensive restorative dentistry. Mary has been working in the dental industry since 1987 and has been involved in every area of the dental practice: dental assisting, laboratory, hygiene assisting, recare, scheduling, financial coordination, accounts payable, and office management. In addition to her dental office experience, Ms. Yakas has held numerous positions in dentistry, including practice consultant, senior analytical coach, and Director of Sales and Marketing for both Benco Dental and Transitions Group. She had previously worked with DENTAL ADVISOR in 1994, and has returned as our Executive Director. As a speaker, Mary has worked with and spoken to numerous groups on communication, listening skills, customer service, and day to day dental practice operations. She has had experience in working with all types of Dental Practices, and has served over 275 individual offices in a consultative capacity. She holds a bachelor’s degree in Behavioral Sciences from The University of Michigan, and is a certified management consultant. John A. Molinari, Ph.D. is a trusted expert in the areas of Infection Control and Infectious Disease in Dentistry. 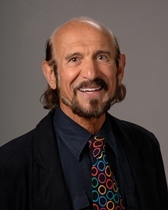 Dr. Molinari’s primary position is as Director of Infection Control, where he is performing in-depth product analysis, dental research, and educating dental professionals through speaking, webinars, and podcasts.